Check Out the Career/Technology Expo at B.T. Washington HS! 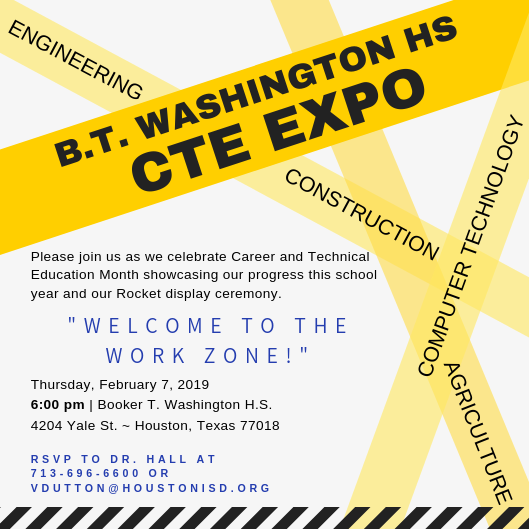 Booker T. Washington HS is hosting a Career and Technical Education Expo this Thursday, February 7, 2019, at 6:00 PM to kick-off Career and Technical Education Month. All 8th grade students are welcome to attend and learn about what they have to offer at their campus.